The North Gauteng High Court recently ruled that the executive acted unconstitutionally in sending South Africa’s note of withdrawal from the ICC to the UN Secretary-General without parliamentary approval. The court ordered the government to withdraw the note. The government has noted the decision and is still considering its options. As with the Brexit judgments, this is a procedural ruling which, in itself, only affects the timing of South Africa’s withdrawal. However, with the more expansive South African constitution to draw on, the litigants have also raised substantive arguments against the decision to withdraw itself. The High Court chose not to address these arguments, on the grounds that Parliament should consider them first. But since we can be confident that Parliament will pass the government’s statute withdrawing from the ICC, we can also be confident these substantive challenges will return to the courts thereafter. The procedural argument that succeeded in the High Court is simple enough. Under s 231 of the South African Constitution, although international treaties are negotiated and signed by the executive, they do not bind the Republic unless Parliament approves them (with certain exceptions not relevant here). This Parliament did, in relation to the ICC, by passing the Implementation of the Rome Statute of the International Criminal Court Act in 2002. The Constitution is silent on withdrawal. But the High Court held that the same logic applies: if it is Parliament’s decision to bind the Republic, it must be Parliament’s decision to un-bind it. Until Parliament repeals the 2002 ICC Act and empowers the executive to withdraw from the ICC on the international plane, the executive may presumably express an intent to withdraw, but it may not take the legal step of formally notifying the Secretary-General. Though this argument only delays South Africa’s withdrawal, the delay may be significant once we fact in future court challenges after the conclusion of the parliamentary process, currently at the public comment stage. As with Brexit, these delays will afford plenty of space for frustrated political rhetoric directed against the litigants (the Democratic Alliance, the largest opposition party, and several civil society groups), and against the courts. This was already underway before the High Court judgment was handed down. Justice and Correctional Services Minister Michael Masutha, for example, argued earlier last month that “I cannot see how a court can dictate – either to the executive or this Parliament – choices imposed by those who have the privilege to approach court because they can”. Of course, the primary target of comments like the Minister’s are the opponents of the withdrawal itself. His argument does not apply to the High Court’s constitutional objection that the executive breached the separation of powers by side-stepping Parliament (although doubtless this ruling, too will be attacked in some quarters for the same reasons Miller was attacked in the UK). But the Minister’s stance confirms the lines of the battle to come when the substantive challenges to the withdrawal return to the courts. What, at this stage, should we expect of those substantive challenges? The arguments boil down to this: withdrawal from the ICC is inconsistent with the South African government’s domestic constitutional obligations to respect, protect, promote and fulfil human rights. The greatest obstacle to this sort of argument is not that a judicial ruling accepting it would interfere in foreign affairs and the government’s diplomatic activities. The Constitutional Court has acted decisively despite the presence of such concerns in the recent past. In Fick, in 2013, it permitted the attachment of Zimbabwean property in South Africa to satisfy orders of the subsequently suspended SADC Tribunal on compensation claims arising out of Zimbabwe’s land policy – in a judgment that makes no mention of potential diplomatic consequences. And if Fick implicitly treated such considerations as irrelevant, the 2014 decision in National Commissioner of Police did so explicitly. On the way to finding that the South African police were obliged to investigate allegations of torture in Zimbabwe, the Court considered the objection that ‘any investigation would be potentially harmful to South Africa-Zimbabwe relations’. It ruled that bowing to this concern would ‘undermine [the] very cornerstone’ of universal jurisdiction over international crimes, given that ‘political inter-state tensions are’ in any case ‘virtually unavoidable’ in this context (para 74). Instead, in existing South African constitutional law, the greatest obstacle the substantive arguments against withdrawal from the ICC face is that they would require a court not only to find that the government has breached a rights-based duty, but also to rule that staying within the ICC regime is the only way for the government to comply with that duty. This would be an unusually prescriptive finding, even outside the foreign policy context. The Court, even at its most expansive, has generally been careful to leave an area of discretion where the government may select from several possible reasonable policy options. Fortune-telling about how this question might be answered aside, it is an instructive one for our thinking about South Africa’s withdrawal from the ICC. The state’s general rights-based duties under the Constitution, which litigants are now invoking to argue that the withdrawal is unconstitutional, still represent something of an unknown quantity in South African constitutional law. But they are potentially extensive, even if the special obligations of the ICC regime fall away. Reading a decision like National Commissioner, for example, makes it clear that the presence of the ICC Act was useful rather than essential to the outcome. Thus the key constitutional question has bite: in light of these domestic constitutional obligations, is there such a thing as a reasonable government response to the most serious international violations of rights that does not include being part of the ICC treaty? Among other things, this question should prompt us to consider South Africa’s stance on African alternatives. The African Union’s latest proposal for the reorganization of the African Court, adopted in June 2014, contains extensive provision for criminal jurisdiction over international crimes. (The criminal jurisdiction is far broader than the ICC’s, but heads of state and other senior officials would be immune from prosecution while in office – Arts. 12 and 22). No African country has yet ratified that instrument, and only nine have signed it; South Africa is not among them. There are also African political options to consider, as exemplified by the South African government’s argument that it is better for peace on the continent to talk to leaders, whatever they do, rather than be compelled to arrest them. For South Africans, and for friends of the broader effort to respond to international crimes, the litigation to date is useful principally because of these questions it prompts us to consider about what South African policy will look like post-ICC. For supporters of the international effort to establish that institution, the High Court’s decision offers much more reason to expect a noisy delay than to anticipate a change in the ultimate outcome. 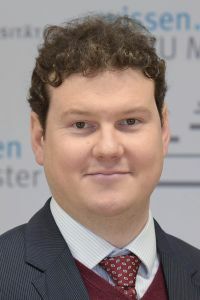 SUGGESTED CITATION Fowkes, James E.: South Africa’s Withdrawal from the ICC: The High Court Judgment and its Limits, VerfBlog, 2017/3/08, https://verfassungsblog.de/south-africas-withdrawal-from-the-icc-the-high-court-judgment-and-its-limits/, DOI: http://dx.doi.org/10.17176/20170308-164046.